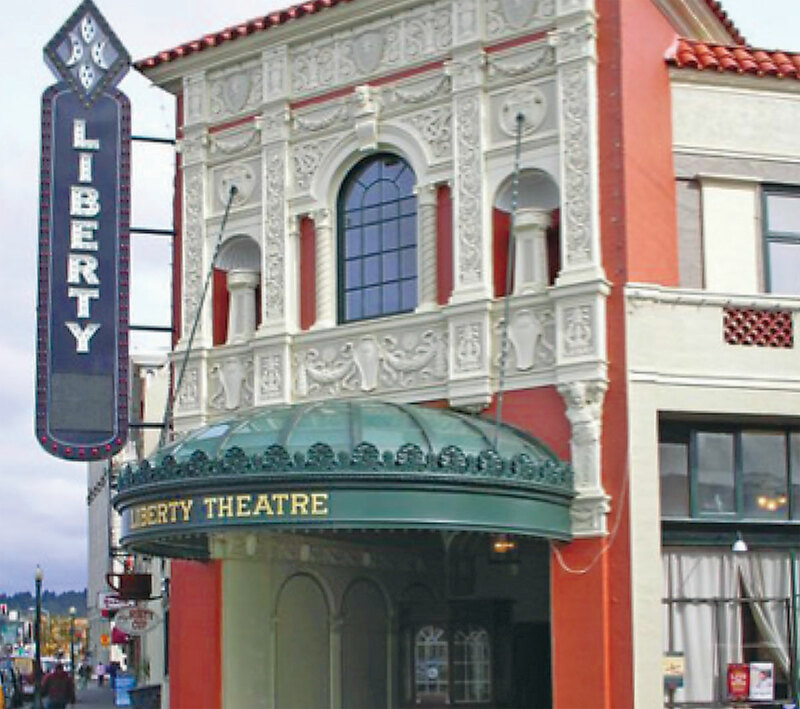 The historic 1925 Liberty Theatre in Astoria, Oregon, underwent an extensive restoration in 2000, and Madden Fabrication was instrumental in recreating themarque canopy that had been lost to weathering and neglect. 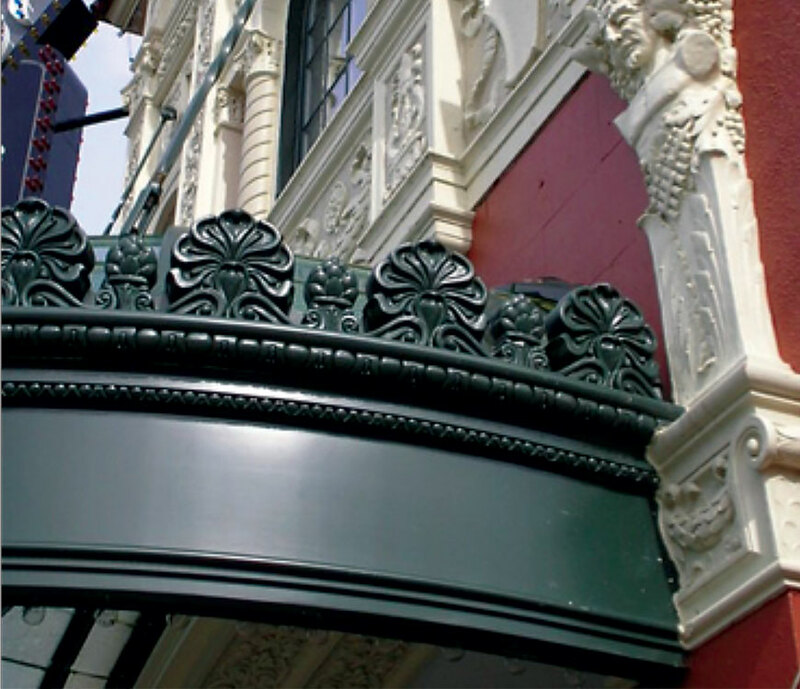 George King Associates, Inc. (GKA), was hired to create designs and plans for the new canopy from old theatre photographs, discovered at the Oregon Historical Society. GKA hired Madden Fabrication to construct parts of a new stainless steel structure, which required coordination of lighting, glass roof panels, fiberglass cornice details, a wall-integrated gutter system, and structural wall supports. This beautiful recreation, with its corrosion-resistant stainless construction, ensures many more years of enjoyment of this glorious theatre. The Light Up The Lodge project began small, with the commission of floor and table lamps for the lobby and guest rooms, as a gift to Timberline Lodge for its 60th Anniversary. The project gained momentum after a significant fundraising auction and a matching grant from the Meyer Memorial Trust. In 1999, Madden Fabrication was asked to assist GKA lighting in furnishing these fixtures for the historic stucture. Madden used a combination of CAD design, laser cutting, forging and expert metal working. The resulting fixtures proved to be an addition worthy of this wonderful landmark. To date, Madden Fabrication has provided major installations of custom-designed lighting in the Mt. Hood and Mt. Jeff banquet rooms and guest room hallways.